Whitelabel the Ticketbooth ticketing platform for your venue, masquerading as a complete custom solution. Collect money from attendees with credit card sales, Paypal and more. 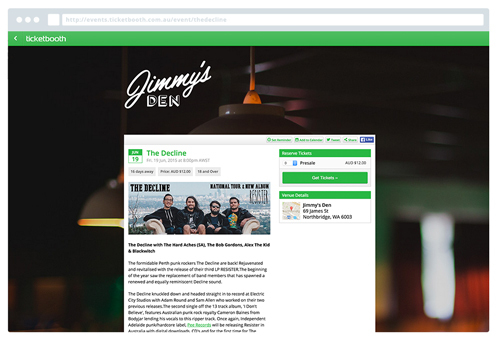 You have full control of the look of your event pages, highlighting your brand not ours. Offer multiple ticket types, discount codes, merchandise and ticket bundles to fans. 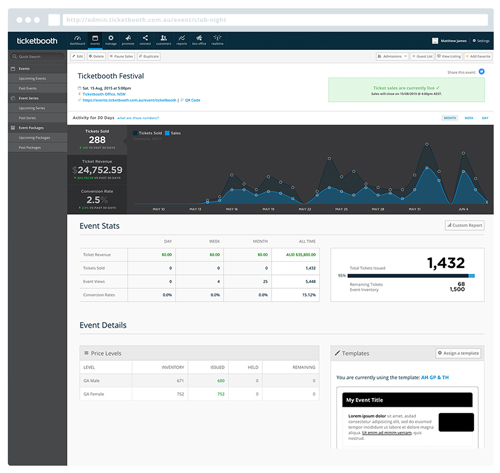 Ticketbooth offers a white label solution for venues that allows a complete rebrand of the ticketing platform enabling you to manage and control your entire ticketing operations under the guise of your own system. 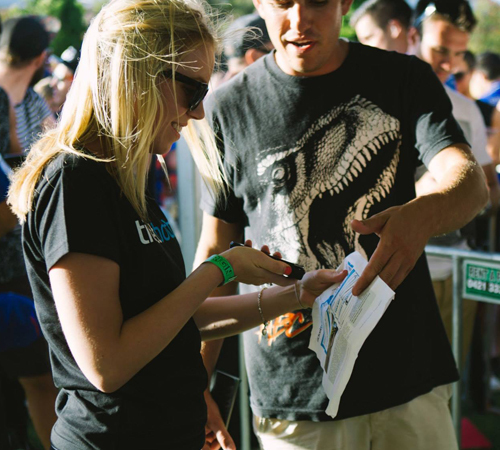 Sell items like t-shirts, posters and meal or drink vouchers either separate or as a bundled package with tickets. We know your customers and we’ve built our platform to offer the best ticketing experience. Purchasing tickets should be easy, so customers are automagically created an account upon purchasing tickets. Allow customers to select from E-Ticket, Registered Post, Mobile (SMS & Passbook) for the most convenient option. Rest easy knowing your customers have a support team a call or email away from our friendly Ticketbooth support team. Have ticketing funds processed via your own merchant account. giving you access to ticketing funds straight away.